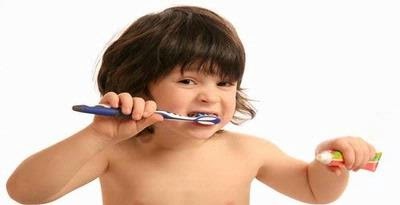 Brushing Teeth With Rules - Incorrect brushing can cause your teeth become sensitive. To obtain the results of oral hygiene is optimal, note also that the correct way of brushing teeth. Is correct brushing at least twice a day, ie, after breakfast and before bedtime. During sleep, saliva production is reduced, giving rise to acid environment in the mouth. If at that time there are leftovers in the teeth, mouth more acidic and the bacteria will flourish and make holes in the teeth. With brushing, acidic nature can be prevented. Then brush your teeth with the front toward up and down. To the side teeth, brush in a circular motion with the brush portion of the tooth and part of the gums. This movement gives massage of the gums that can accelerate blood circulation in the gums. While the inner teeth brushed with direction from the bottom to the top to the bottom and gear from top to bottom for the upper teeth. The length of the recommended brushing time is about 2 minutes and reach all tooth surfaces to prevent buildup of food debris causes plaque.